Households installing solar power systems now are likely playing a bigger role in the Australian renewable energy revolution than they may realise. 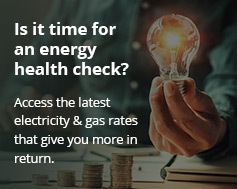 While the uptake of solar panels in Australia is in part due to coverage by environmental groups, government raising awareness, solar rebates and the marketing efforts of companies in the sector; individuals and families play an important role in its spread – simply by installing a system. In a hat-tip to those going solar, a 2010 Stanford University study by Bryan Bollinger and Kenneth Gillingham entitled “Environmental Preferences and Peer Effects in the Diffusion of Solar Photovoltaic Panels” found that that a 1% increase in the number of installations in a postcode region in the USA decreases the time until the next adoption by roughly 1%. The results, they say, provide evidence supporting the importance of peer effects in the uptake of rooftop solar panels. The authors say the geographic clustering appears to occur at both a postcode and neighbourhood level, and does not just match the density or the “greenness” of an area. The paper mentions image motivation being a factor in the clustering, whereby households witness neighbours installing a solar power system and decide to also pursue an installation to be able to also project a green image. Another important way is through information-transfer in the process of social learning – a fancy term in this instance for neighbours having a chat; discussing their experience with a particular solar installer and contributing to another person’s decision to install. While many green activities a household may participate in occur indoors or out in the back yard and out of the sight of others; solar panels are often highly visible to neighbours and passers-by. These panels not only represent a tool for generating clean, renewable energy, but are a billboard for the potential of a clean energy future for Australia; a future with a strong focus towards distributed electricity generation and a revolution based on power to the people, by the people, for the people.